Whether an elven ranger or dragon slayer, a warrior needs to protect their legs from an enemy. Wear the Alistair greaves when marching into battle. Available in four colors, they can be accessorized with a variety of militaristic costumes. They can be bought by themselves or in addition to the Alistair Bracers, sold separately, for a cohesive look. Held on with straps and buckles, the curved bottom edge of the greaves allows for greater foot mobility. 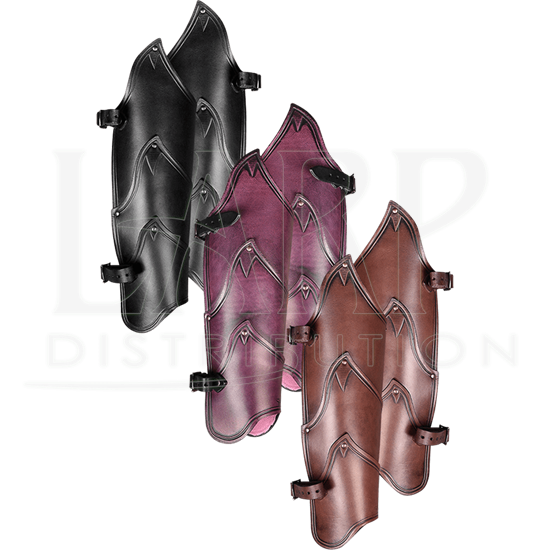 The leather greaves are designed in three solid riveted segments with embossing and asymmetric curves. 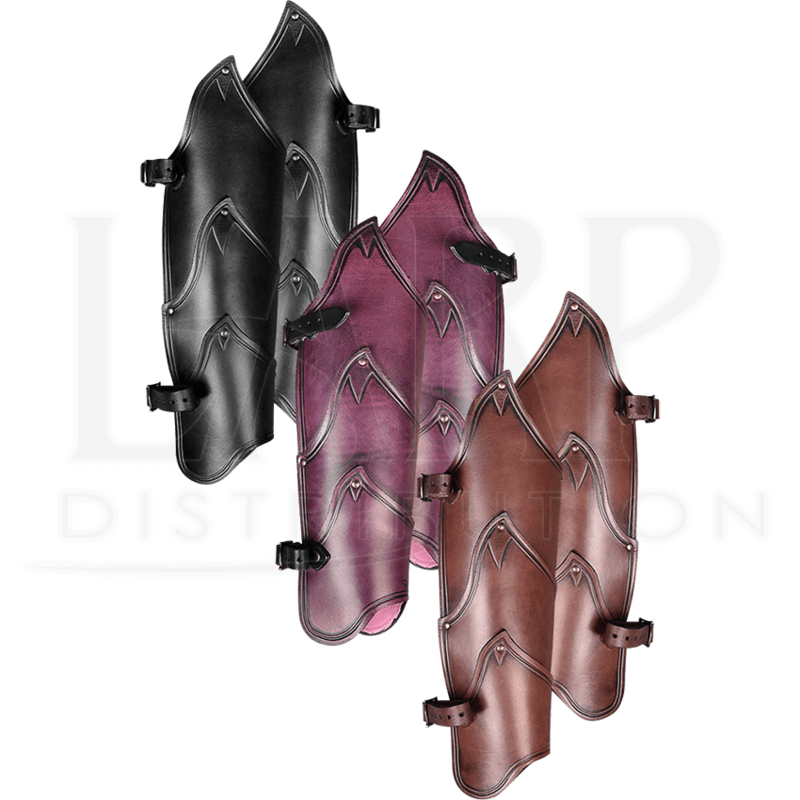 As a set of two, they are ideal when attending a fantasy convention, medieval faire, or LARP event.